If you're planning adventures beyond mobile phone range then a KTI Personal Locator Beacon (PLB) will make sure you can get help if anything goes wrong. With 100% global satellite coverage, the KTI PLB is cheap & reliable insurance that could save your life. 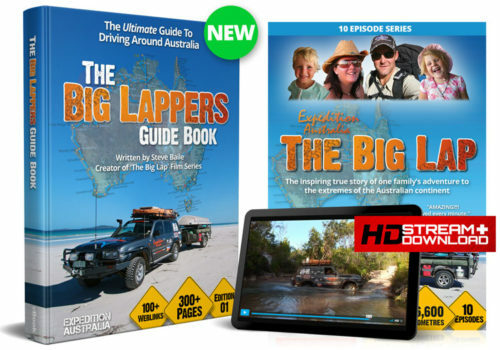 Buy yours with The Big Lap DVD Series in this great value bundle and get 8 hours of Aussie road trip adventure to watch as well. 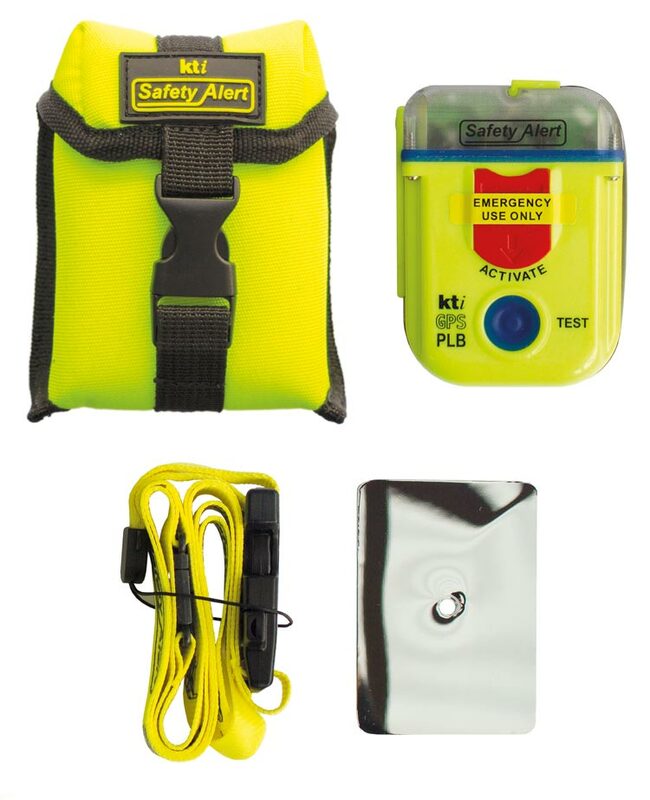 If you spend any amount of time out of mobile phone range then a KTI PLB could save your life! The KTI Safety Alert Personal Locator Beacon (PLB) is compact, lightweight and affordable. But most importantly, it could save your life if things go wrong. This high quality Australian made product comes with a 10 year battery life and does not require a monthly or annual subscription. It's simple, effective and cheap insurance that will enable you to get help if you break down, get bogged, have an accident, get lost or experience any other emergency. Carry your KTI Safety Alert PLB with you whenever you are venturing away from the mobile phone networks. It's compact, lightweight and waterproof so you can carry it on your belt, keep it in your backpack, glovebox, pocket or strap it to your arm using the optional neoprene armband. If you are doing activities like motorbike riding, boating, skiiing or any activity where you may have an accident and be immobilised, keep it 'on your person' so you can reach it. 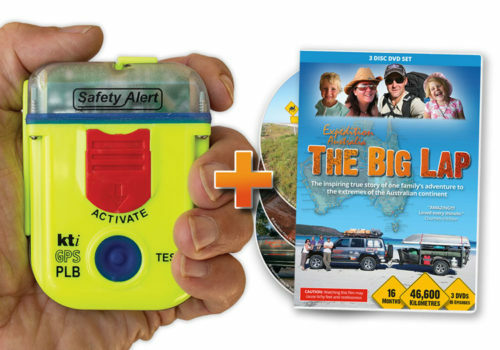 If something goes wrong and you need rescue, activate the KTI Safety Alert PLB using the big red ACTIVATE button on the front of the unit - this can be done with one hand. The KTI Safety Alert PLB will send a distress signal (406MHz digital transmission) including your GPS coordinates to emergency services every 5 minutes via the worldwide satellite distress network. The KTI Safety Alert PLB will also transmit an analogue homing signal on the 121.5 MHz band to enable rapid homing on your position for emergency services. Help is on it's way - Emergency services will know that you are in trouble and where to find you. 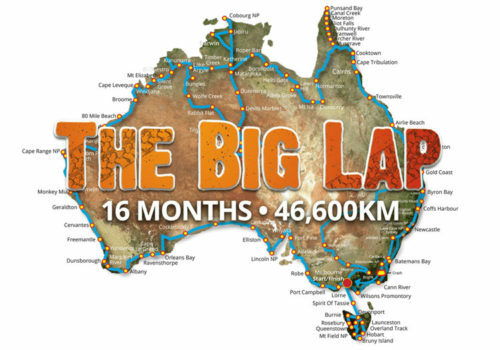 From the Snowy Mountains to the Kimberley, Cape York to Tassie and everything in between, The Big Lap Series is the inspiring true story of the Baile family's epic 16 month around Australia road trip adventure that has inspired thousands to chase their travel dreams. The 10 episode series is great viewing for everyone who loves to get out and see Australia and will give you hours of entertainment as you share in the adventure with the Baile family as they overcome numerous obstacles and challenges to achieve their dream. Join over 100,000 people who have fallen in love with The Big Lap Series and order your copy today.